Ah, summer. Sunny days, grilling out, and fireflies at dusk. Longer days and summer vacations also mean more downtime, play time, and hopefully more family time! A while back we started the tradition of creating an annual summer bucket list. 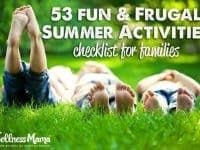 Even if we don’t do them all (the list is getting long), this summertime family tradition is a great way to remember what we’ve enjoyed in the past as well as think of some new fun summer ideas to try. We’ve come up with a few different solutions to this over the years, but one of the best is to write down a physical summer bucket list. It really motivates us to think of a few new things to try that are out of the norm and bring back a few old favorites. And when boredom strikes, it’s the perfect time to point to the list. What are our favorite things to do? What leaves us feeling recharged? How can we do more of those things this summer? What are our least favorite things to do? What do we need a break from? How can we minimize or manage those things this summer? One we have a running list of ideas, we narrow down to the ones that fit our current family priorities. This is the list we take to the kids and brainstorm all over again. We write the final list on a posterboard and put it on the fridge for everyone to see. Next we narrow down the list to the main things we want to do. We just star or circle these items. Since we know we’ll reuse the list next year (with a few updates) no ideas ever go to waste. Sometimes as we look over the list a theme emerges. If that’s the case for you, consider coming up with a simple word or phrase that captures your goals for the summer. My contributions to the summer activities list tend to be educational (disguised as fun… I’m sneaky like that). These include trips to a museum or the zoo, visiting the botanical gardens, or hikes at our favorite nature center. 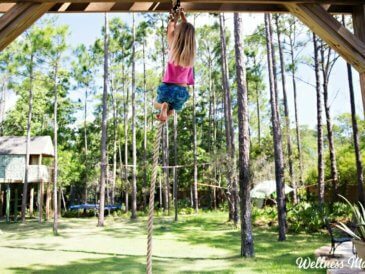 Kids learn a lot just by being kids and playing outside as much as possible, so we tend to give priority to outdoor activities. Bonus: playing outside is free! Studies show that giving kids visual reminders of important rules and routines increases their sense of independence and control. It also cuts down on parental nagging. This is one big reason we do the summer bucket list. The above will definitely vary depending on what ages you have in the house. I don’t have teens (yet) but I’m getting there, so I’d love your ideas on that front! Here’s our ultimate summer buck list, with a few new ones added for this year. The best part? Most of these are free or very low cost. Of course, the kids suggest more than a few things that aren’t realistic (“buy a horse” comes to mind), but with a little redirection they come up with some really great ideas! 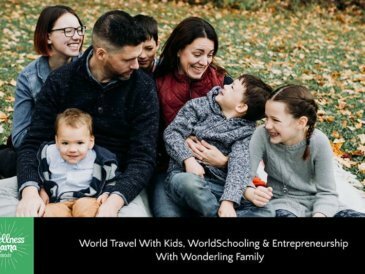 If your family is the competitive type, check out this adventure points system to go along with your summer bucket list. It keeps kids motivated to try and do new things on their own. Create a nature scavenger hunt (or go letterboxing or geocaching). Try a new food at the farmer’s market. Finally go check out the state parks near our house that we’ve never visited. Build a sandcastle as a family (and enter a sandcastle contest if we can find one!). Have our version of a water balloon fight in the backyard (using sponges, not balloons, to avoid choking hazards and plastic waste). Go to a matinee or drive-in movie. Pre-make a bunch of frozen meals for friends who are expecting babies. Put bubble solution in a kids’ pool and use a hula hoop to be inside a giant bubble! Make popsicles from fruit and chia seeds. Have a luau for neighbors and friends. A projector + outdoor wall = outdoor movie! Teach the kids to make homemade ice cream (handy when the ice cream truck rolls around). Go wildcrafting for herbs and plants with a local expert. Collect seashells at the beach. Go fishing and learn how to clean the fish. Visit a local museum (these are usually free) and learn about the history of our town/neighborhood. Turn on some oldies and have a dance party in the living room. Make a slip and slide in the backyard. Run through sprinklers on a hot day (Mom and Dad too). Play wiffle ball in the backyard. Learn how to make simple origami. Take a road trip somewhere we haven’t been. Make necklaces with homemade clay beads. Visit a retirement or nursing home and make cards for the residents. Learn how to score a baseball game. Make a DIY beauty recipe and have a spa night. Try out the free kids’ workshop at Home Depot. Teach kids how to jump rope (and practice it myself… yikes). Make some healthy ice cream sandwiches. Join the library’s summer reading club. Let the kids plan and cook dinner. Make root beer from scratch. Learn how to crochet or knit. 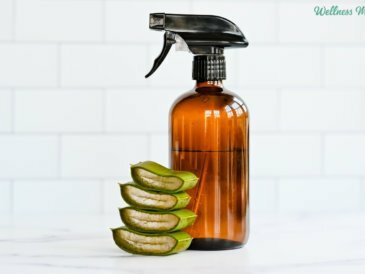 Try an online class from Udemy.com and learn a new skill (many are only $10). Learn to walk a slackline. Find a maker’s space or attend a mini-maker’s faire. Go to a fruit farm U-pick and make homemade freezer jam. Volunteer at the local soup kitchen. Invite a neighbor we don’t know over for dinner. Walk barefoot as much as possible! Plan and build a woodworking project together. Carry out some random acts of kindness. Master a new recipe with foods we’ve never tried. Organize a family field day or block party in our neighborhood. Start a read-aloud tradition at night (one chapter). Find a new biking trail. Play outside in the rain… the best things in life are free, after all. 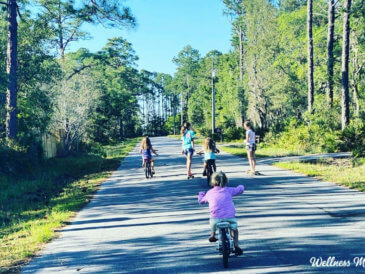 A lot of summer bucket list ideas I see are kid-focused, and no surprise since parents aren’t often wondering what to do with all their extra free time! Still, I’m a firm believer that we can’t give what we don’t have and we can’t teach what we don’t do ourselves. Make time to do something relaxing and invigorating. Schedule a babysitter, swap childcare with a friend, or set aside a day of the week to work on something that’s been on the back burner but would be very rewarding. And don’t feel guilty about it! Ultimately, we all know that kids learn by watching our habits (no pressure! ), and we can only give them our best when we take time to recharge ourselves. Take a local art or woodworking class. Sign up for horseback-riding lessons! Join a casual sports league. 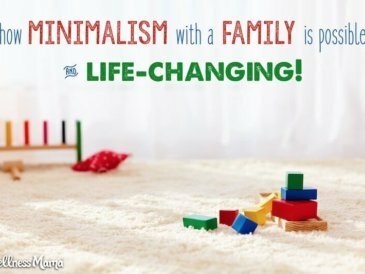 Schedule time at the beach or pool–alone! Dine “al fresco” for a no-cook, no-prep Italian picnic. 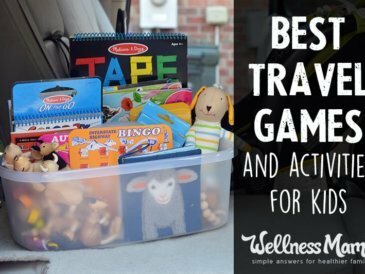 Try a new sport or exercise and involve the kids! Set up an easel and paints by a window. Schedule a Mom’s Night Out. Moms can “play” too! 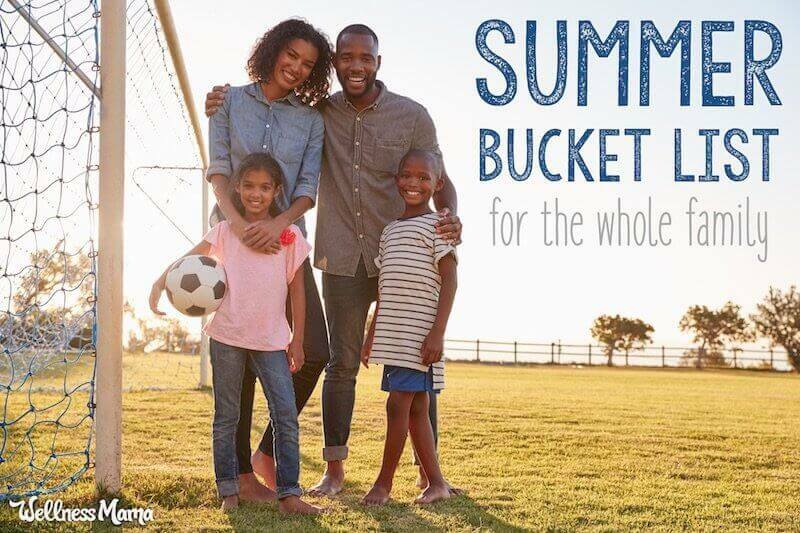 Hopefully, with a little (fun) advance planning you will have your own fantastic family summer bucket list to mix things up and make this summer a great one! 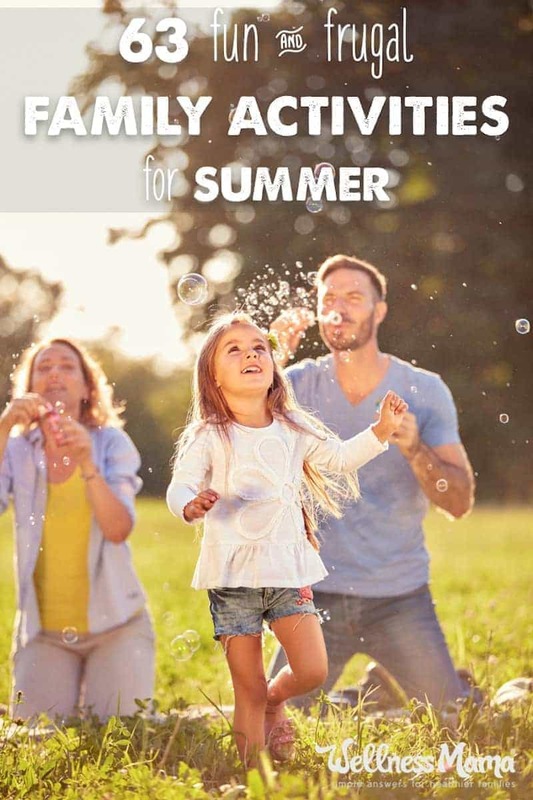 What other fun summer activities does your family love? Are there some good ones I should add to this summer bucket list? Please share below!